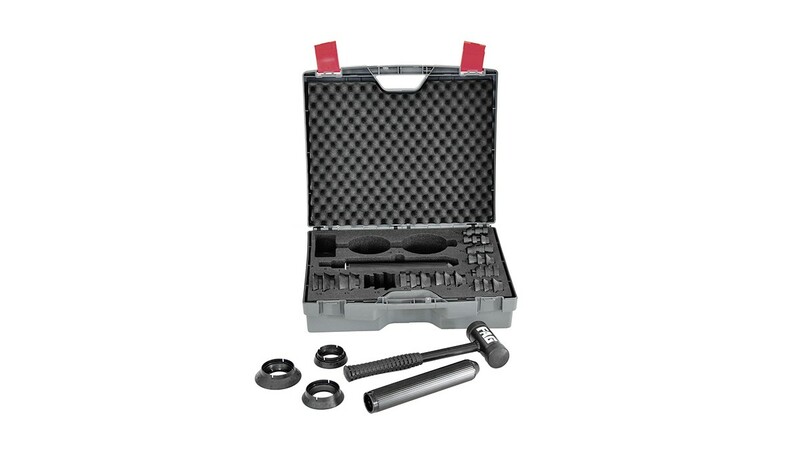 These mechanical tools are designed for the mounting and dismounting of bearings. The mounting forces are transmitted by the geometrical locking effect. The mounting tool sets are suitable for the simple mounting of rolling bearings with a bore of up to 50 mm. 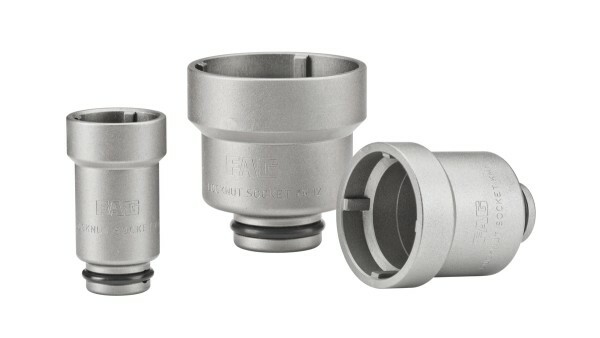 They can also be used for the mounting of mount sleeves, intermediate rings, seals and similar parts. 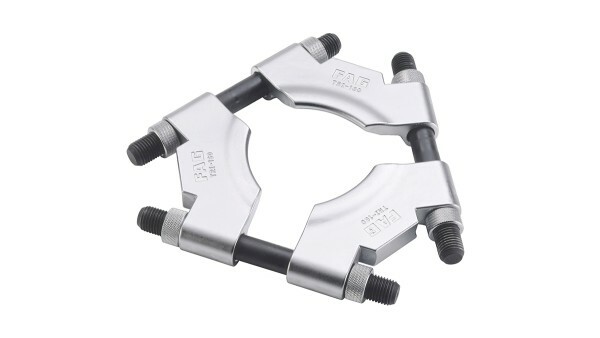 A mounting tool set contains mounting sleeves made from aluminum and mounting rings made from plastic. LOCKNUT-SOCKET socket wrenches are suitable for easily tightening and loosening locknuts on shafts, adapter sleeves and withdrawal sleeves. They require less space on the circumference of the nut than hook wrenches and allow the use of ratchets and torque wrenches. Mechanical extractors can be used to dismantle small and medium sized rolling bearings that are located with a tight fit on a shaft or in a housing. The bearing can be dismantled without damage if the extractor is in contact with the tightly-fitted bearing ring. In the case of mechanical extractors, the extraction force is normally applied by means of threaded spindles. In addition to the two-arm and three-arm devices as well as a hydraulic pressure tool, special solutions are also possible. 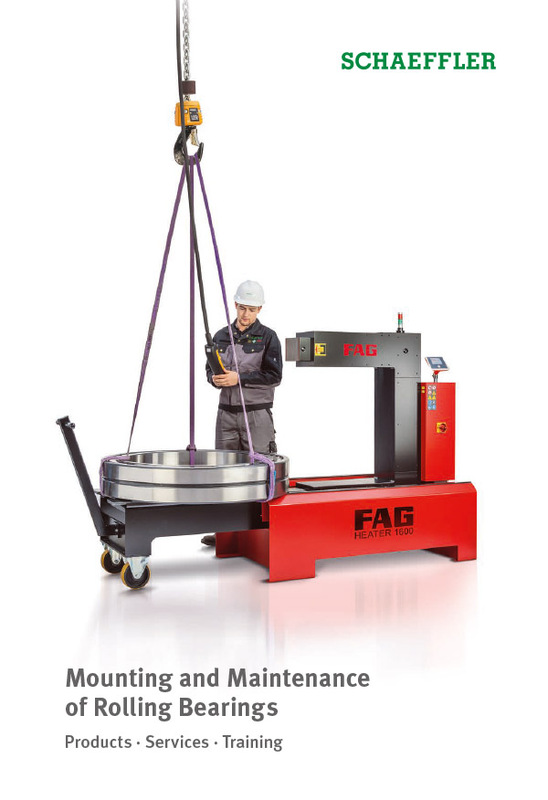 For dismounting of larger bearings, hydraulic extractors should be used. The hydraulic extractors are used where higher extraction forces are required. These devices allow rolling bearings, gears, sleeves and many other shrink-fitted parts to be quickly and easily dismounted. 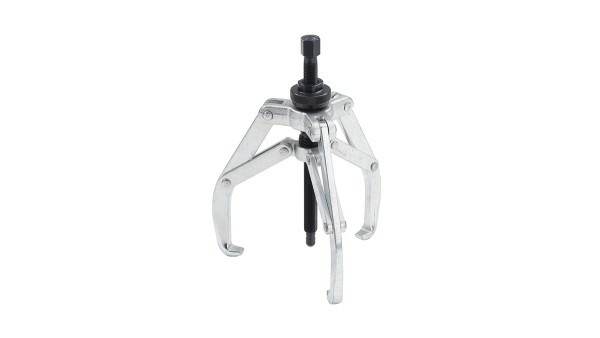 For greater clamping depths, the XL variant or longer extractor arms can be ordered as accessories. Operating personnel can be protected by means of a safety grid or a safety cover. PULLER-TRISECTION three-section extraction plates can be used with hydraulic and mechanical extractors. 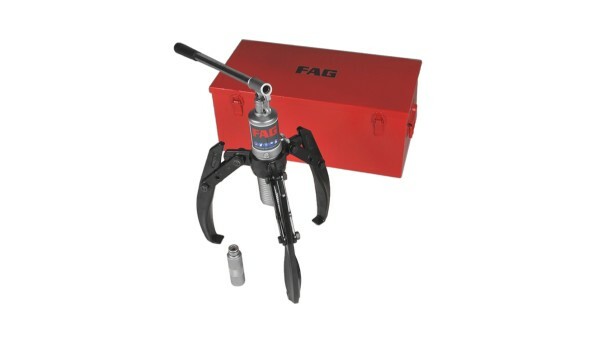 These allow the extraction of complete bearings, tightly-fitted inner rings and other components. The load capacity is adapted to the maximum pull-off force of the recommended hydraulic extractor. To ensure that the bearing is not damaged during extraction, the three extraction segments only contact the bearing at the inner race as a result of their geometric shape. The extraction plates can be fitted under the bearing with just a few movements.